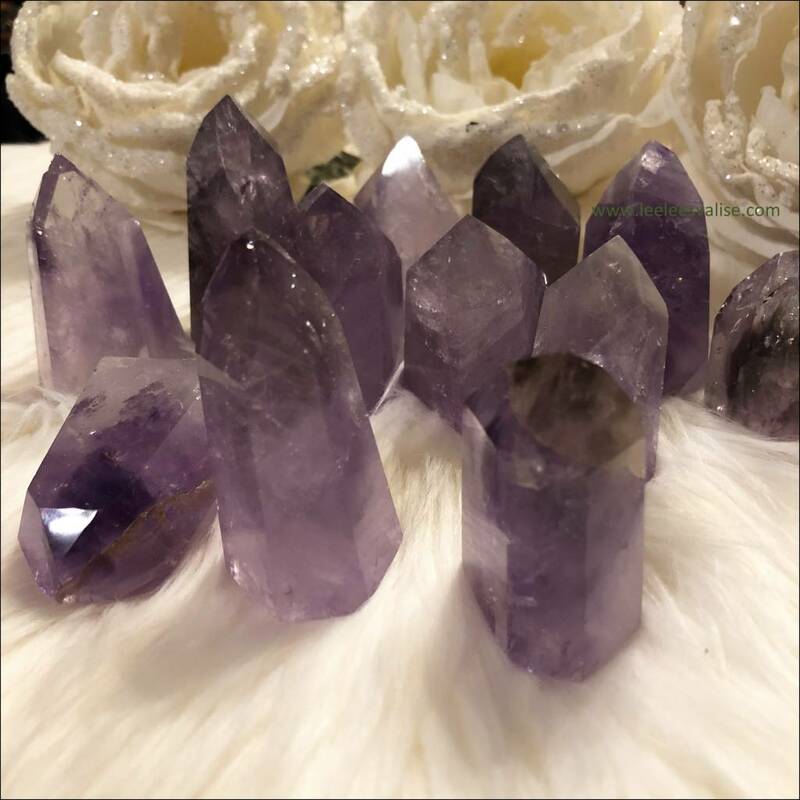 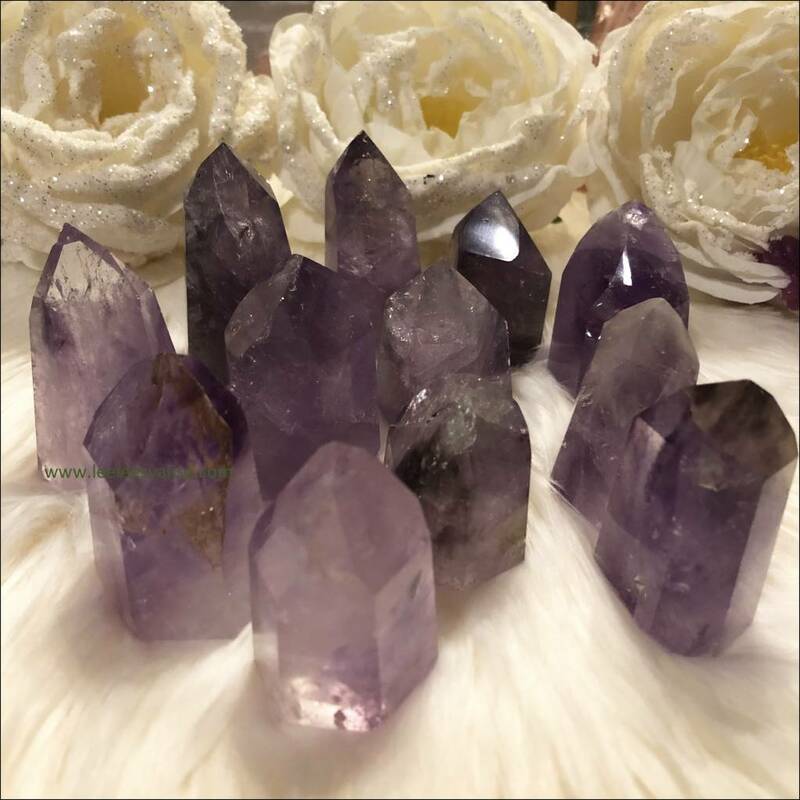 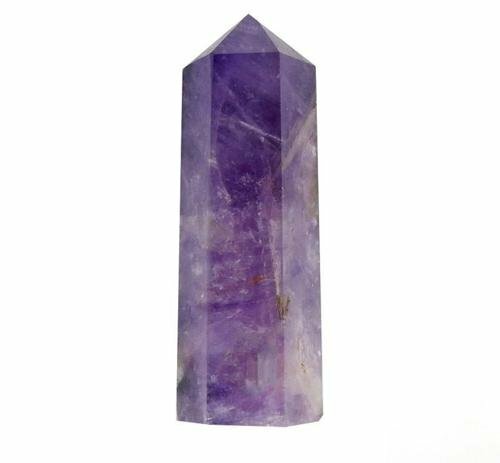 A Quality Amethyst Crystal Tower Obelisk Point ★ Amethyst is the stone of transformation and enlightenment. 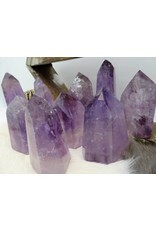 Amethyst magnifies the energy of other crystals. 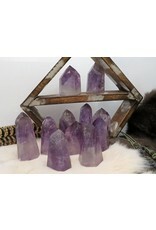 This Amethyst Tower is lovely to look at and to hold her, the energy is amazing. 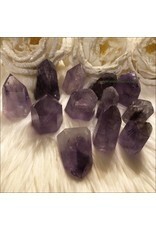 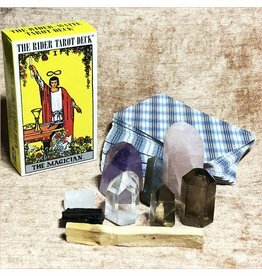 Use amethyst during your tarot cards readings to amplify your intuition! 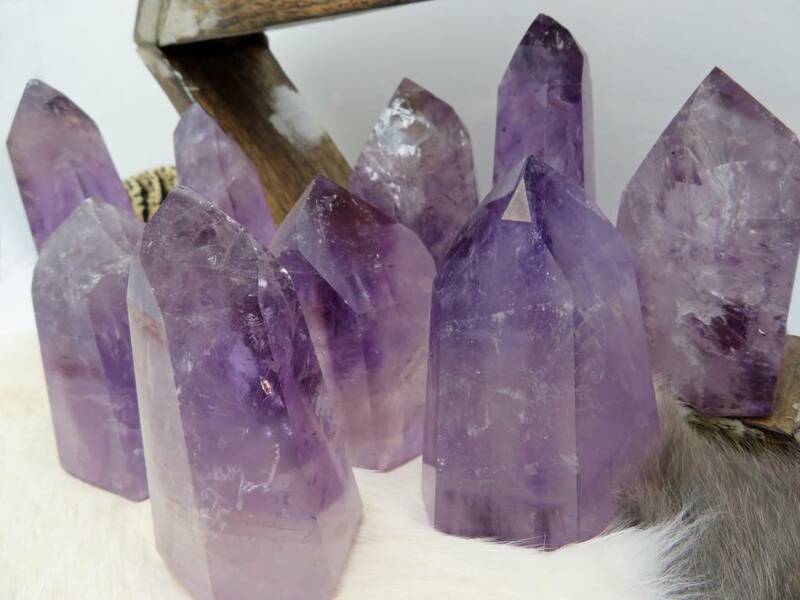 Add Amethyst to your bedroom for a calm sleep and peaceful dreams. 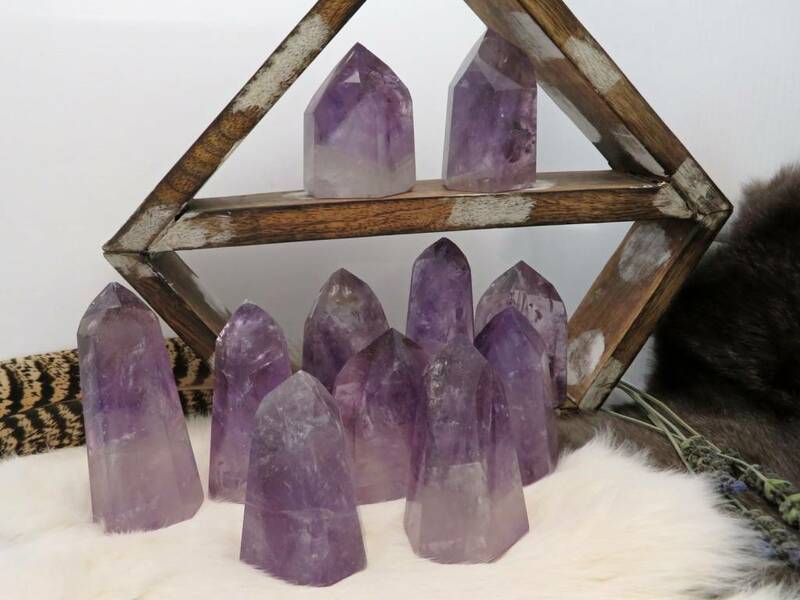 Sit it on your nightstand or under your bed! 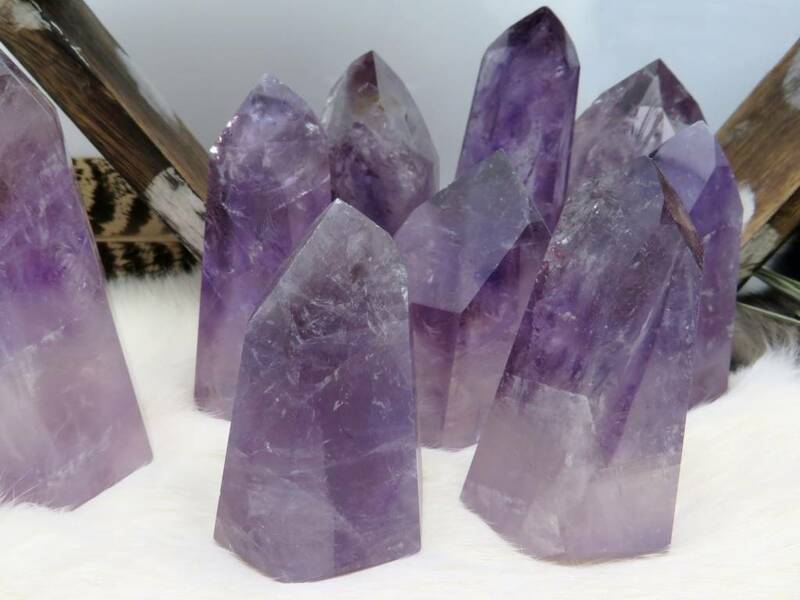 Each tower is cut and polished! 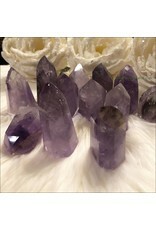 Faceted tower stones with an apex at the top. 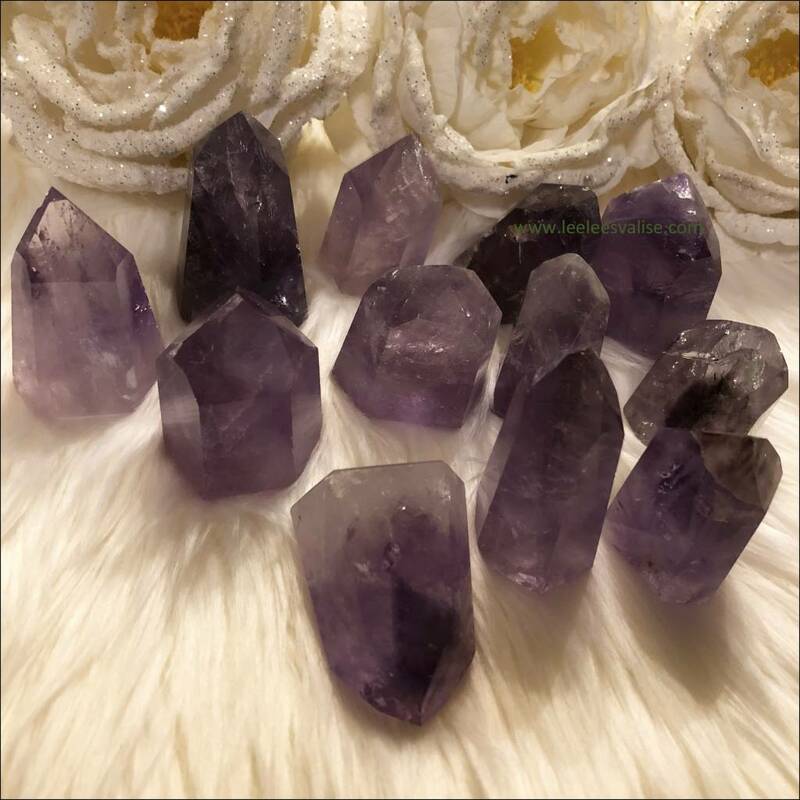 Many like to use stones with an apex to direct energy in their crystal grids or mediation practices. 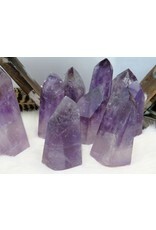 Great for chakra work, reiki, to make jewelry with, or just to add to your stone collection. 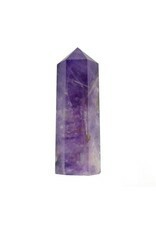 Add this Beautiful Amethyst Tower to your Mediation Altar and Crystal Grids, or anywhere in your space. 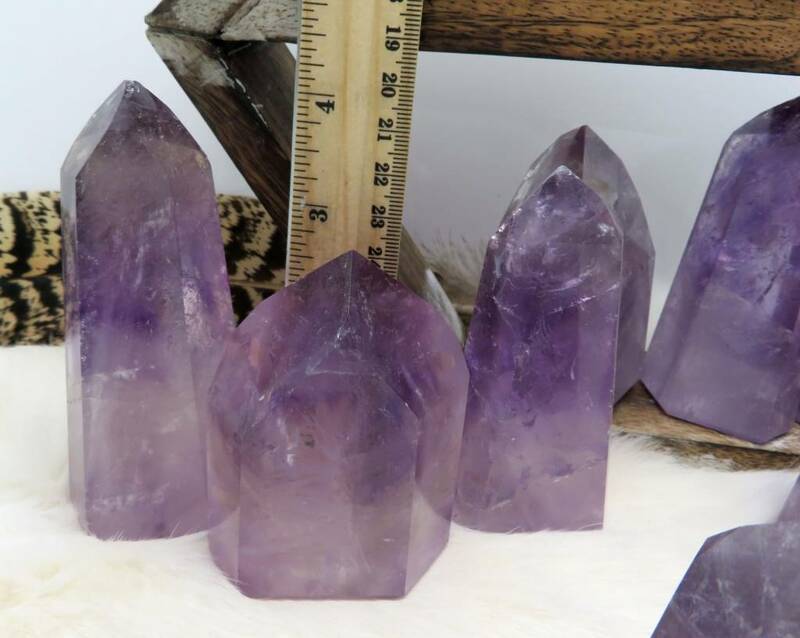 Each Point will vary slightly in size, color and in characteristics. 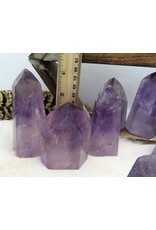 Sizes Range - Measures approx. 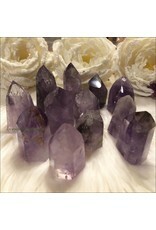 : 2-4" x 1.75-2.25"